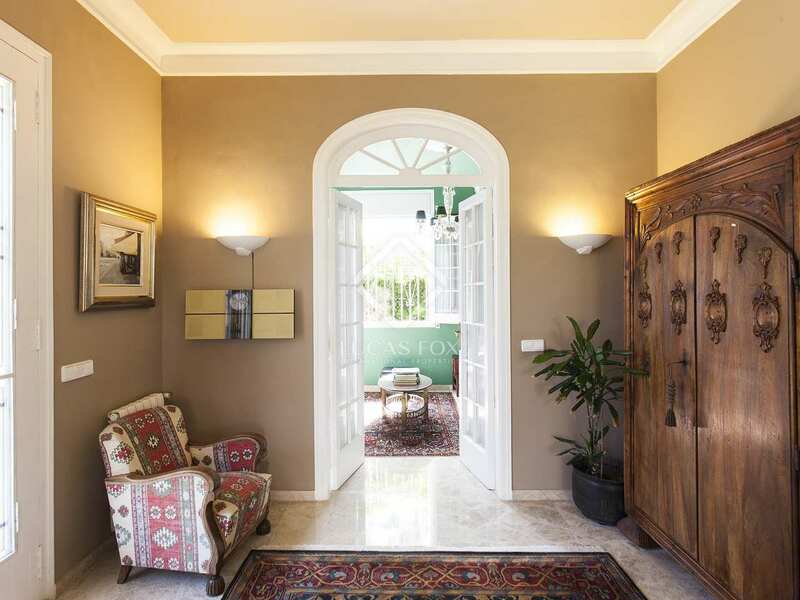 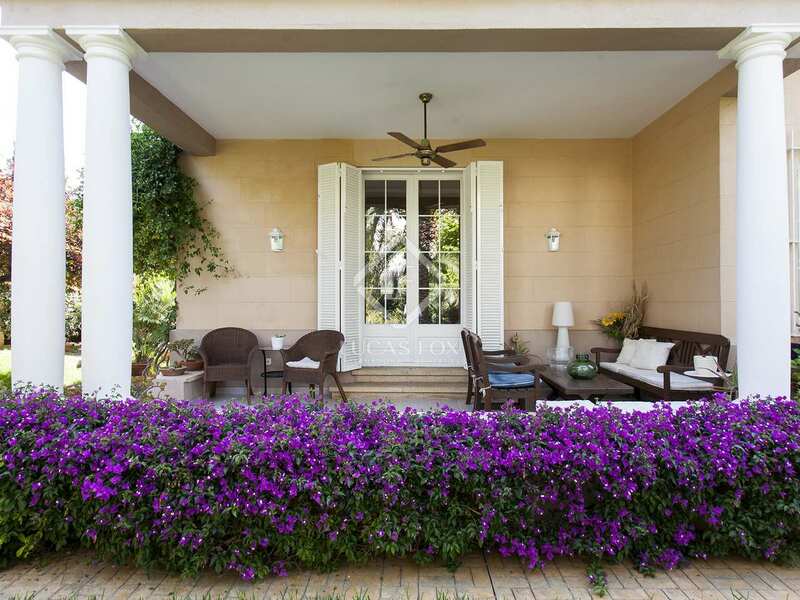 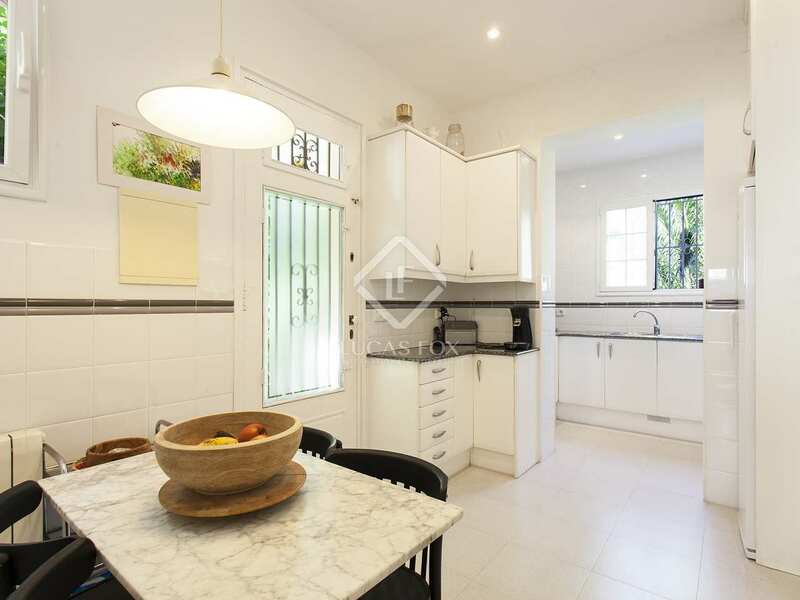 In an enviable location, just 50 metres from the beach and minutes on foot from Sitges centre, we find this gorgeous period property for sale. 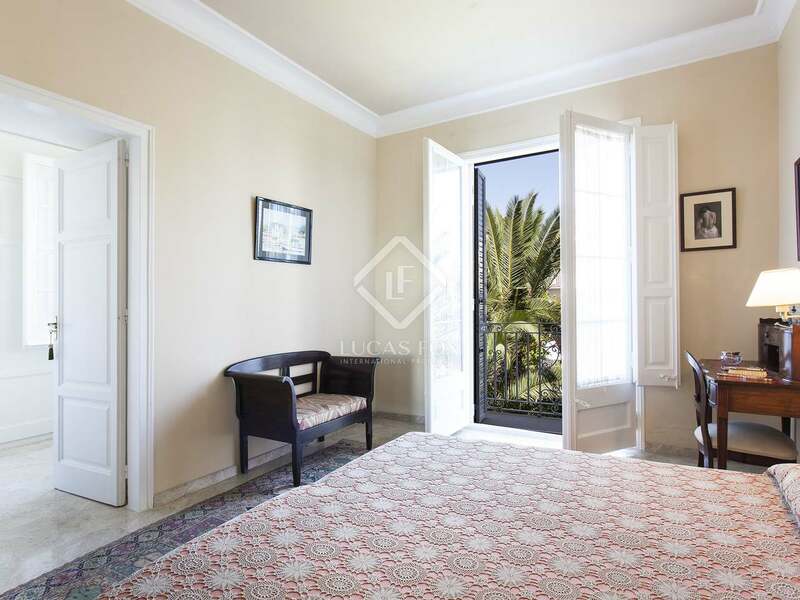 It is on the second line back from the beach in the prestigious Terramar residential area with a large mature Mediterranean garden with beautiful palm trees, flowers and fruit trees. The villa has been impeccably renovated and is presented in pristine condition; adapted to modern standards with luxury finishes. 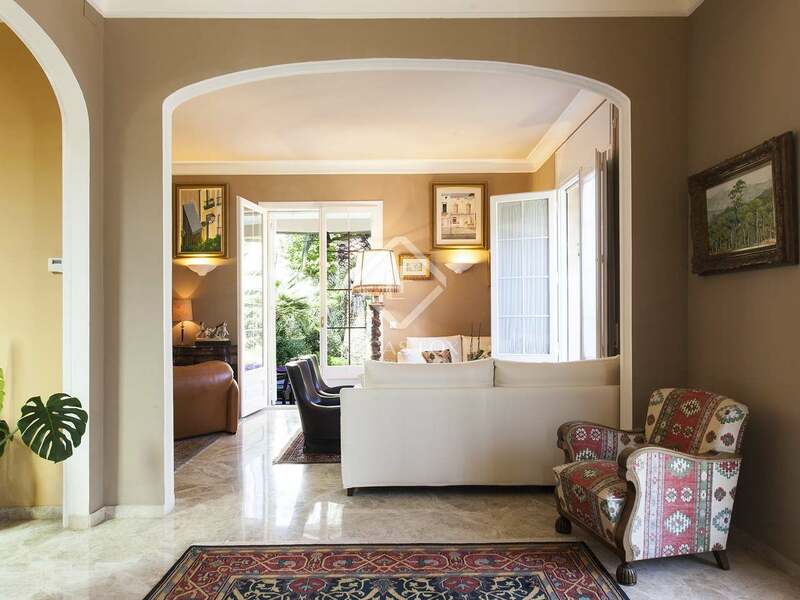 The main house has impressive high ceilings and marble flooring with a large entrance hall that takes us through to the living room with a fireplace and access to the covered terrace. 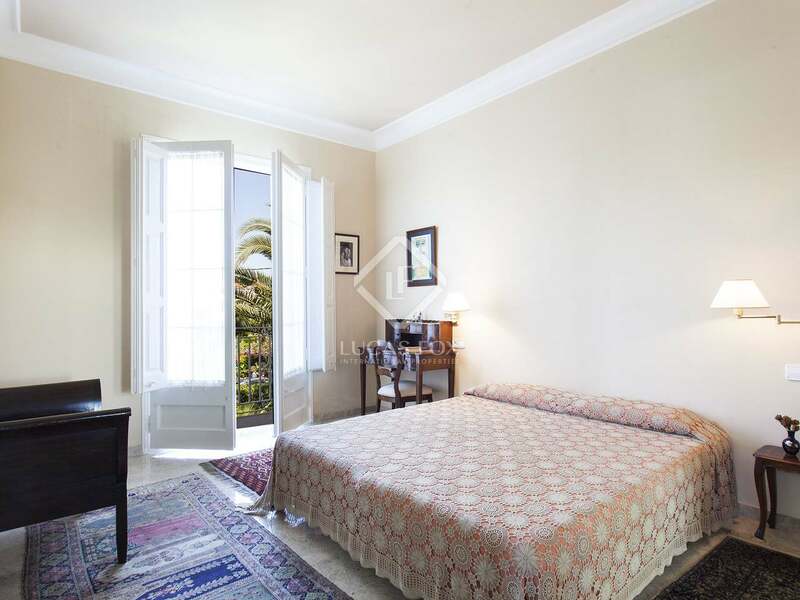 Moving on we find the dining room, library, kitchen, utility room, a guest toilet and a double bedroom with an en-suite bathroom. 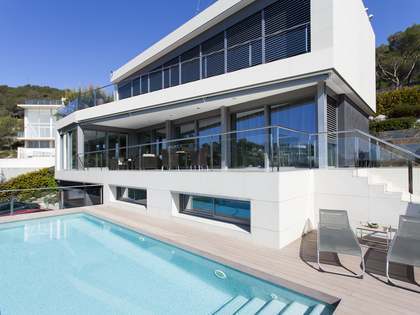 The first floor provides further accommodation in a master bedroom with its own bathroom, sitting area and 2 terraces with sea views and 2 further double bedrooms with en-suite bathrooms each. 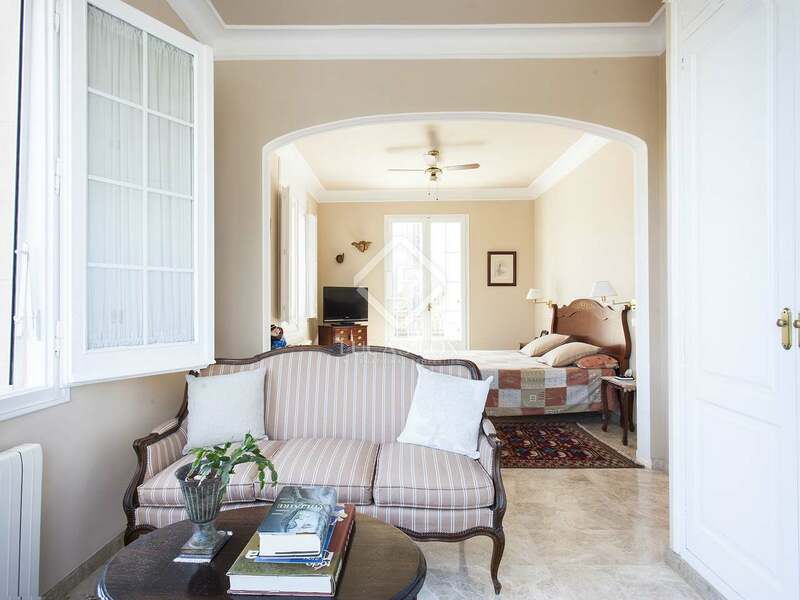 The property also includes a guest house which is currently divided into 3 separate areas which can easily be converted into one large guesthouse if required. 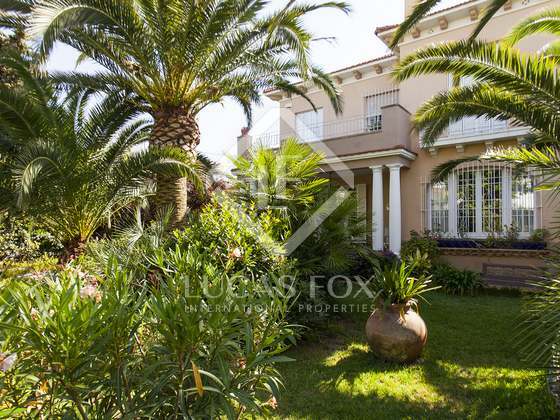 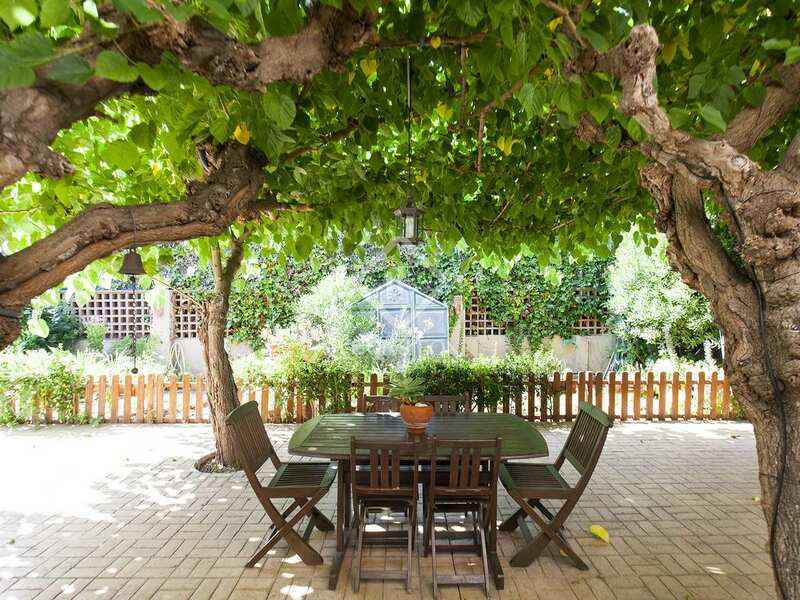 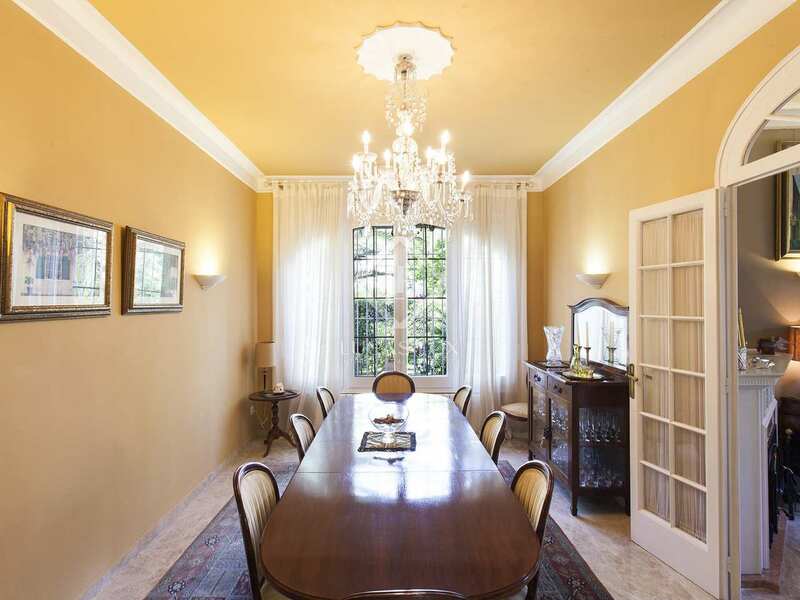 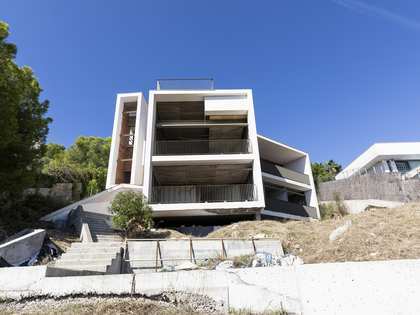 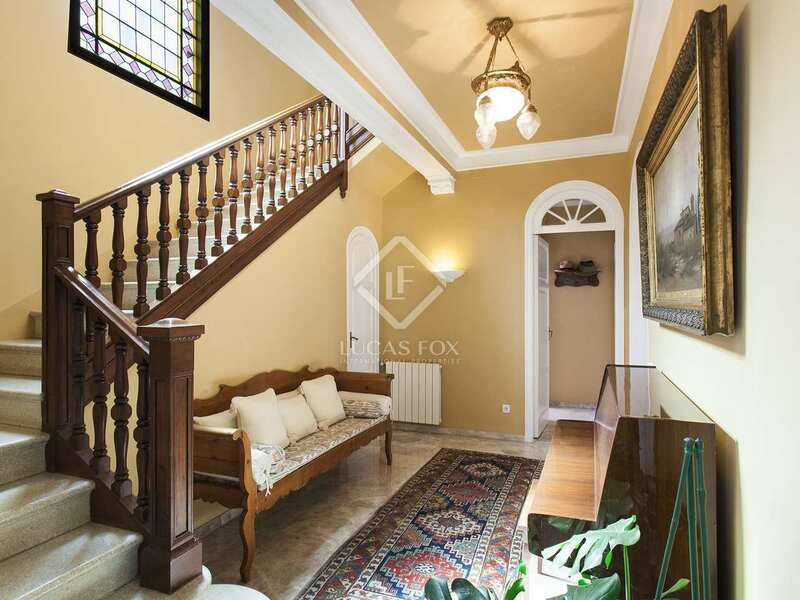 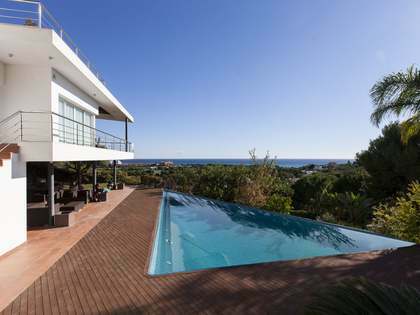 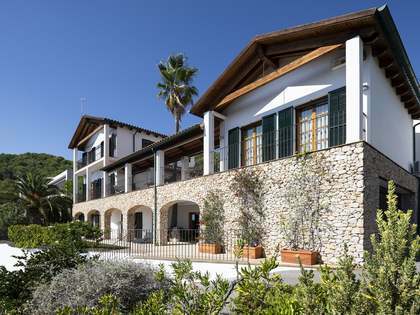 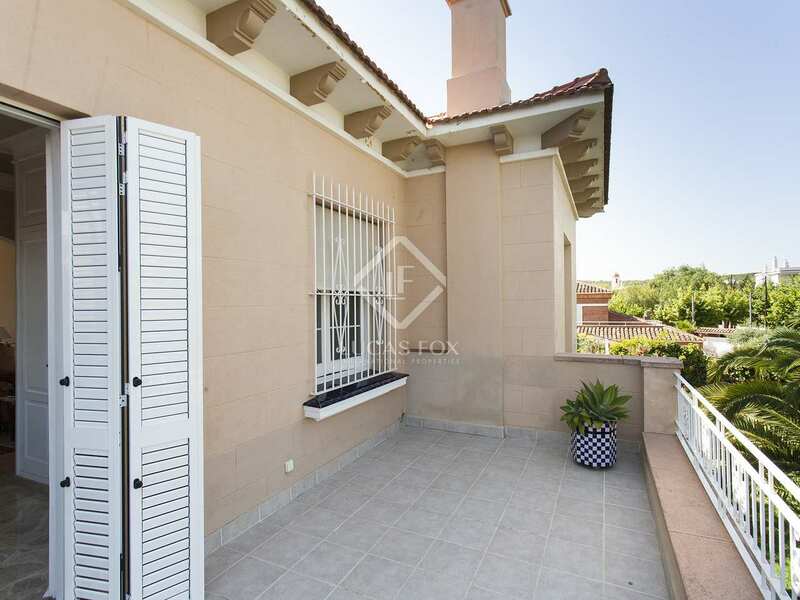 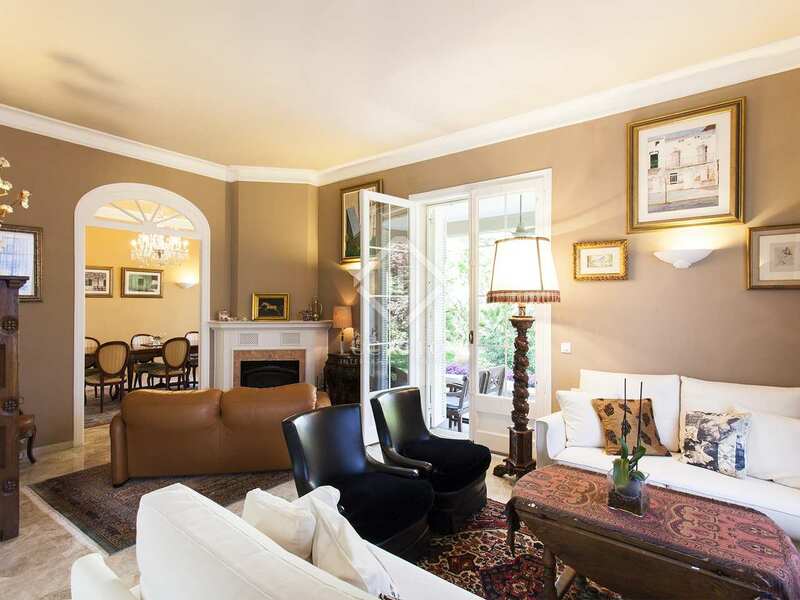 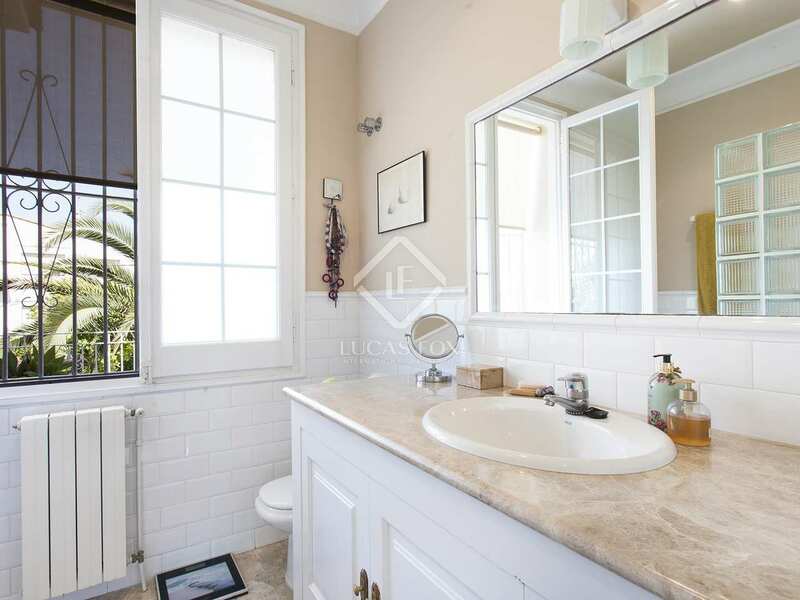 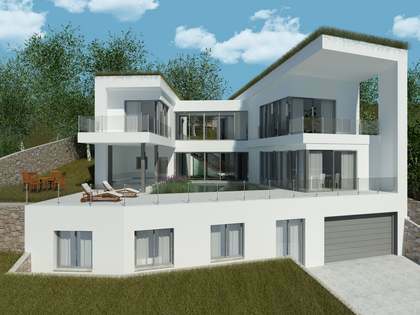 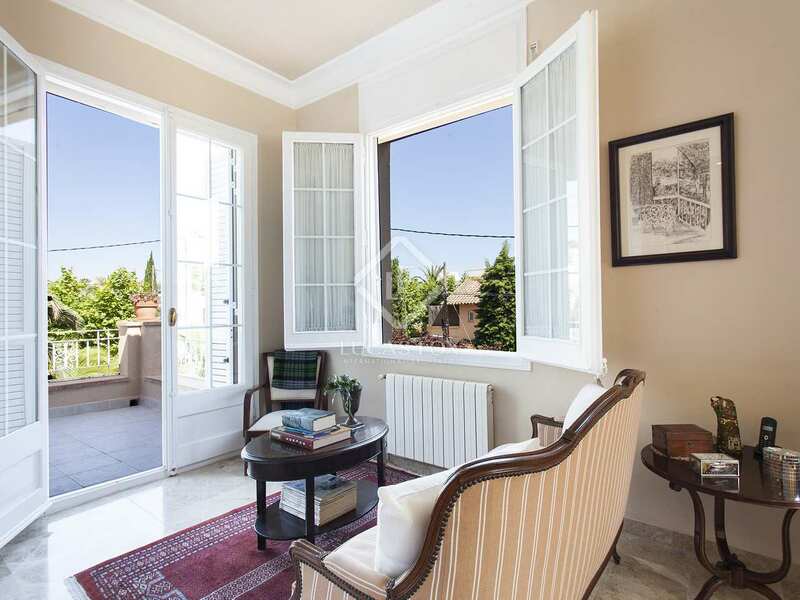 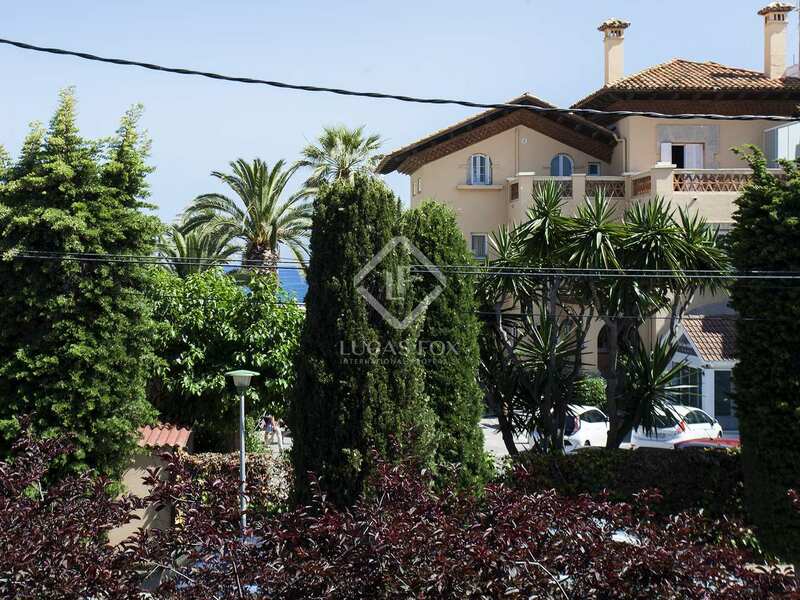 Property located in the second line of Terramar, the most prestigious residential area in Sitges. 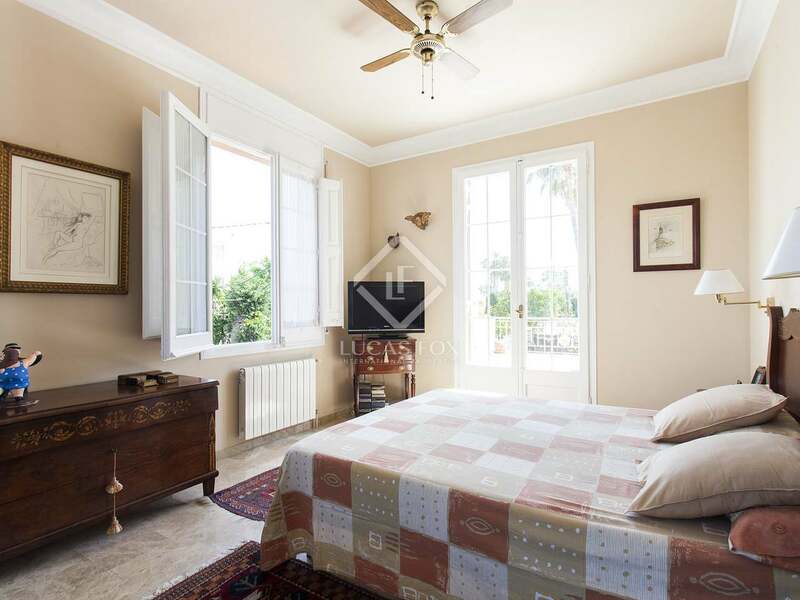 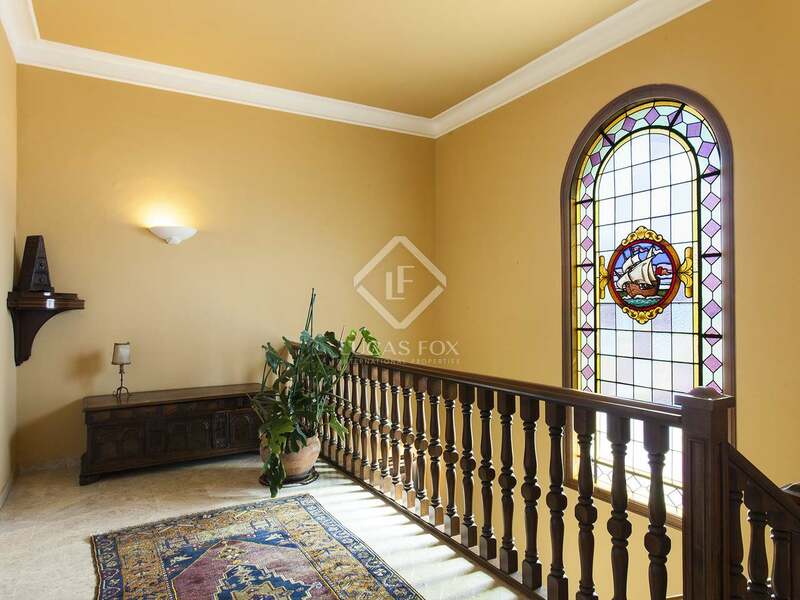 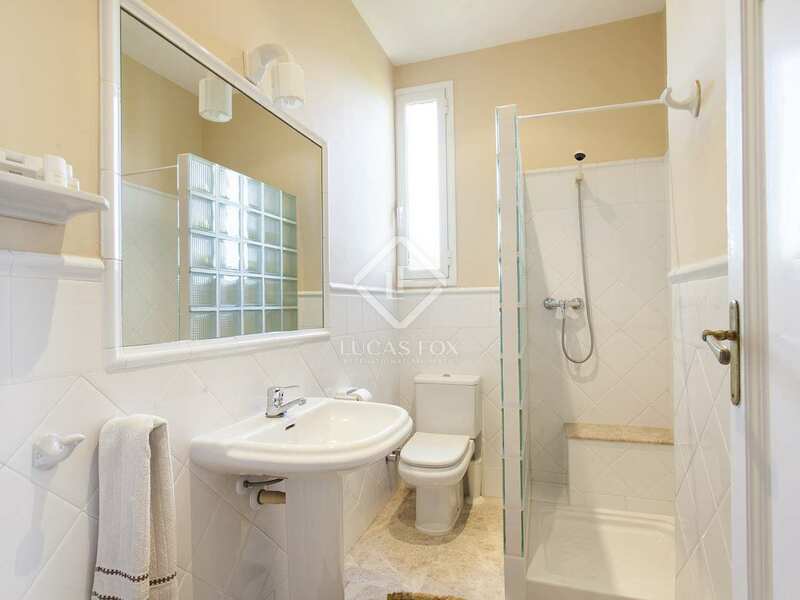 It is walking distance to Sitges centre, train station, shops, etc. 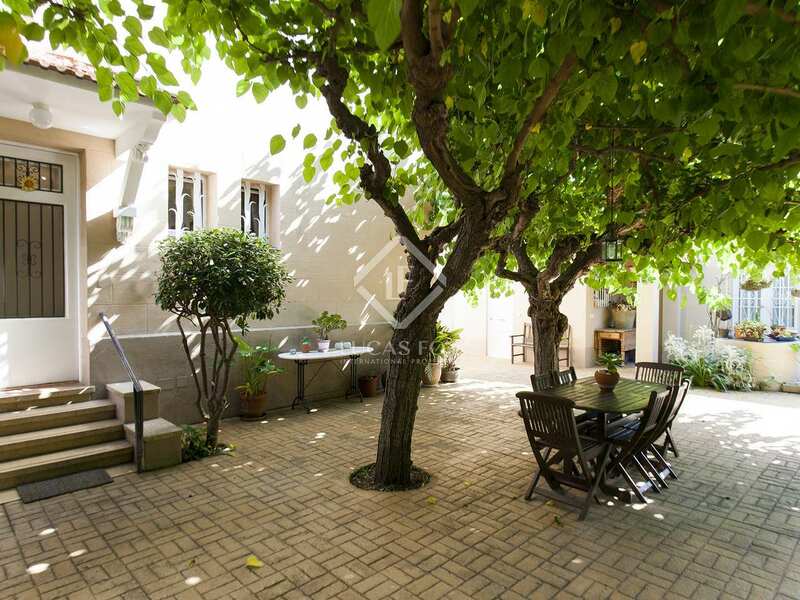 and just 50 metres from the sandy beach.